London, once again, is on the brink of massive change. Be it political (see: Brexit) or sartorial (London Fashion Week Men’s is poised to kick off tomorrow), the city is headed for a sizable cultural upheaval. But for Nigerian-born designer Duro Olowu, a resident of London for the past 25 years, the cobbled streets are familiar stomping grounds. A fixture on the British fashion and art scenes since opening up his Masons Yard shop—a bustling menagerie that has quickly become a hub for both stylish natives and visitors—the rakish creative knows the coolest haunts of the vast and diverse London scene. All of which makes him the perfect guide for those descending upon the city to take in the new season of menswear designs. From the best place to grab a cup of coffee in between appointments and the essential apothecary for English gents to the perfect London flea markets to find the most unique furniture and vintage fashion finds, Olowu shares his thoughts on the city as well as all the places you’ll want to hit up between shows. For ideas of a few other things and places to do/see during this year’s London’s Fashion Week for Men, check out, you must not miss the following gem also mentioned in the Vogue major. No matter how “obscure” or hidden a good store/shop is, people would eventually find it out. Alfies Antique Market on Church Street is one such store, and it’s one I keep recommending because of its wide array of African, especially Yoruba antique Aṣọ Òkè from 19th and 20th Century. It’s a visit that will reward the senses AND your collection of hand-woven old textiles from Ivory Coast, Ghana, Togo and, especially Nigeria which was what led me there. Dr. Clark runs Adire African Textiles at Alfie’s Antique Market, and sold the piece above years ago, a piece that now hangs at the Mississippi State University’s Archive. 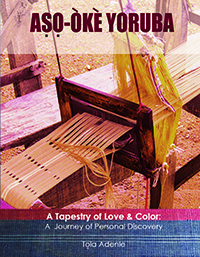 Dr. Clark said he did not remember who bought the piece when I visited his lovely antique shop while wrapping up work on my book, Aṣọ Òkè Yòrùbá: A Tapestry of Love and Color, A Journey of Personal Discovery. 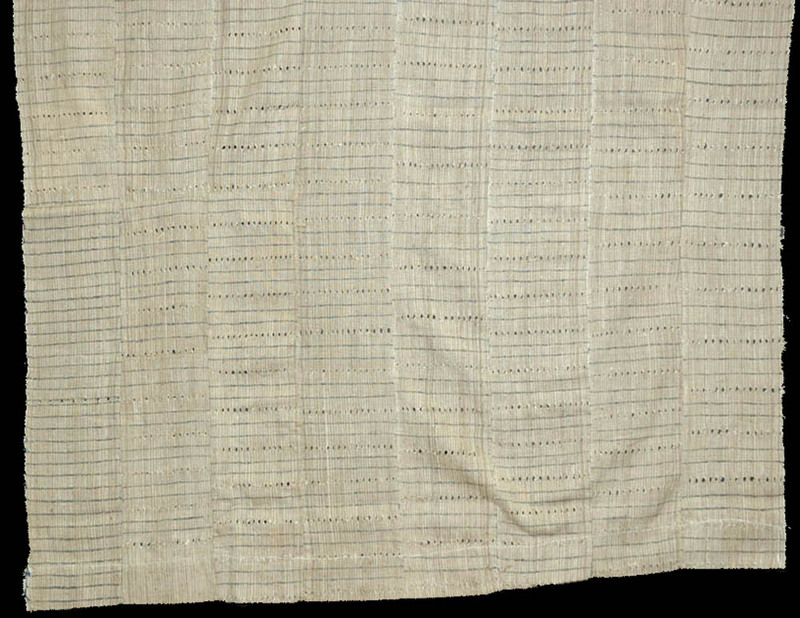 The above picture is on my blog, emotanafricana.com where I first used it before using it as well as some others from Dr. Clarke are used in the Yoruba textiles book in the chapter on Yoruba’s ancient sericulture past. It is great that vogue.com through one of its writers, Marjon Carlos, is now focusing attention on fashion on Africa beyond Western World capitals. The Lagos Fashion Week and Nigerian designers in particular are enjoying a lot of coverage as well as patronage outside Nigeria where they’ve shown for many years that they are to be reckoned with.